Members of the Melissa plant genus are perennial herbs that are often used in cooking. They reach a height of up to 60 cm and flower from summer through to autumn. They have an appearance similar to that of mint. Some of the common names for members of Melissa include balm, Lemon Balm and Sweet balm. Lemon balm picture by Color line. If you plan to use balm in the kitchen then leaves can be used fresh or dried. They should be removed just before the plant blooms for best flavour. If you require to dry balm then do so as quickly as possible at a temperature of at least 33 degrees centigrade. Store dried balm leaves in an air tight container and use when required. Common Names: Balm: Lemon; Sweet. Height: Up to 24 inches (60 cm). Native: Southern Europe. Western Asia. Flowers: Early summer until autumn. Flower Details: Small white or yellow. Foliage: Opposite. Toothed. Oval to cordate. Lemon-like fragrance. Sow Outside: Seeds: Surface. Late autumn. Spacing 18 to 24 inches (45 to 60 cm). Sow Inside: Germination time: 2 to 3 weeks. Temperature: 70°F (21°C) in the light. Seven or eight weeks in advance. Transplant outdoors following the last frost. Requirements and care: Full sunlight or light shade. Soil pH 6.0 to 7.5. Sandy soil. Dry soil. Propagate: by dividing at the start of spring or by taking stem cuttings in the spring and summer. Self-seeds easily and may become invasive. Miscellaneous: Produces more aromatic leaves when grown in poor soils. Often used for culinary purposes where it is treasured for its lemony flavor, especially in tea. Sprigs are often used as a salad garnish. Harvest leaves before or at the time of blooming. Use fresh or dry at a temperature of 90°F (32°C). Flowers attract bees. When growing lemon balm and other Melissa plants outdoors the seeds should be sown on the surface towards the end of autumn. 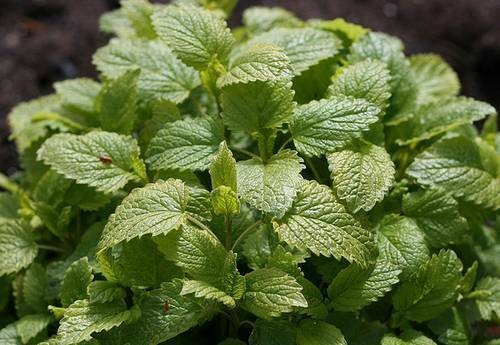 Lemon balm can grow in both sunny and lightly shaded areas, and has a preference for a sandy and dry soil. Ideally the pH should be from 6.5 to 7.5. 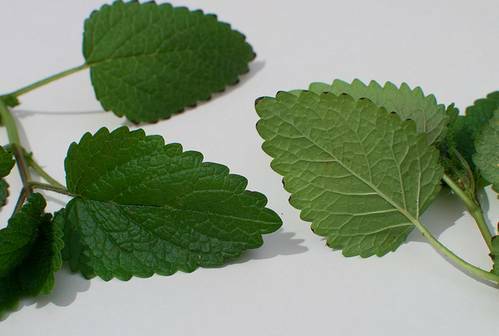 Do not grow in a rich soil as this affect the taste, a poor soil should be used for the best tasting lemon balm. Lemon balm can be started indoors. Sow the seeds about two months before you expect the last frost of spring. They will take from two to three weeks to germinate in the light and at a temperature of about 20 degrees centigrade. Once growing transplant in mid spring about 50 cm apart. 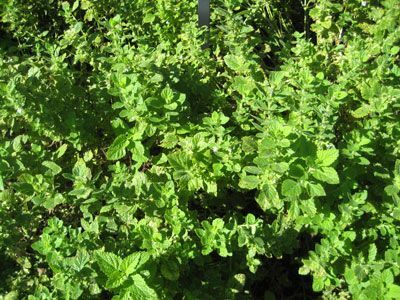 When growing lemon balm, balm, Melissa for use in cooking, it is best to harvest and cut back the plant hard regularly before it has chance to bloom. At the end of the growing period (autumn) cut back to ground level. Give the plants plenty of space to grow in as this will help to prevent mildew. 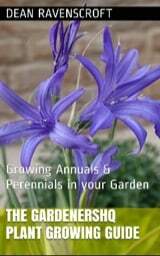 If you require more Melissa plants then either let them self seed, take cuttings from the stems in spring or summer, or you can even propagate by dividing the plant at the beginning of spring.